The rise of demagoguery around the world in recent years represents a regression from the Enlightenment ideals on which modern society has been constructed. Demagogues make extensive use of post-truth techniques to appeal to the public’s prejudices, and that means that post-truth must be countered more actively than ever if democracy is not to ‘die’, as some commentators have warned can happen. 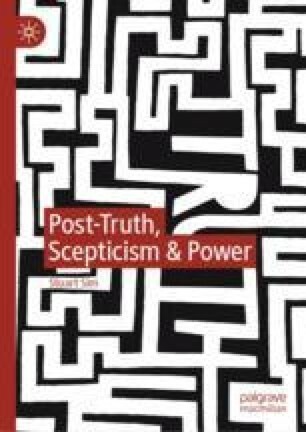 The chapter makes the case for greater emphasis on fact-checking of news reports, looking at the efforts already made in that direction by such organisations as ‘The Centre for Library Literacy’ and ‘Libraries Transform’ in the USA, as well as programmes that have been developed to assess truth-content, such as the ‘CRAAP Test’. Greater control of social media, with legislation at governmental level to back this up, is also urgently required to limit the spread of fake news. ‘The CRAAP Test Worksheet’, legacy.juniata.edu/services/library/instruction/handouts/craap (accessed 1 January 2018). Dollinger, Arielle, ‘Can Librarians Save Us from Fake News?’, vice.com/…/pgwwgz/can-librarians-save-us-from-fake-news (accessed 2 January 2018).